Oh yeah! 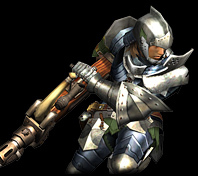 I forgot about W101, I cannot WAIT for that. Looks amazing and exactly the style and type of game I buy Nintendo consoles for because they just don't make stuff like that for major retail release on Xbox and PS. I think W101 might have also been launch window at some point. This may be my next Wii U retail game. Which is probably the longest gap in between launch purchases and post-launch purchases for me ever. Then again, I have bought a ton of eShop games. Or wait, when is Wonderful 101 coming?! 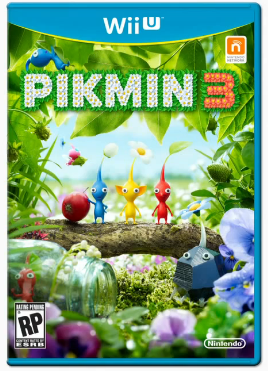 Do we know if Pikmin 3 will be closer to the first or second game? The timer, and lack of it in the second game, gave the two games a very distinct feel from one another. I think Miyamoto said it would be more like the first game, but didn't go into specifics. Whether or not there's a timer is anybody's guess at this point, I think. Has anyone heard any more? I have a feeling the main story will be timed and once you "beat the game," you're free to explore more at your own pace to find the rest of the treasures. At least I hope. By the way, if you're starving for some Pikmin and already have a Wii U. The Nintendo Land attraction based on Pikmin is surprisingly good. If anything it got me even more excited for #3. Based on that link it sounds like the timer is back. I don't know how else they can bring back the stress element Miyamoto is striving for in this new installment without bringing that timer back, and it also goes along with him saying it'll be closer to the first game than the second. That being said. I agree with @Marsh and hope that the exploration element from the second game isn't removed. I hope we can play the entire campaign in two-player co-op with one person using the gamepad and one using the TV with the wiimote/nunchuck. That would be so unbelievably fabulous.